Just Because Mini Session Photoshop Template for photographer. Fall mini session template. Marketing template. Instagram template. Perfect for any mini session you can think of, this modern Photoshop marketing template for photographers is perfect for any season. All text, except for "minis" which was hand lettered by yours truly, is editable. Just replace "just because" with any kind of mini session you would like to offer. Once your payment has cleared your template will be available for instant download. This is a digital product only - no physical product will be sent. Must have Adobe Photoshop or Photoshop Elements to open and customize this template. Design services are not included in this listing. Template only. Did you fall in love with one of my pretty little templates but don't own Photoshop? No problem! Just add this listing https://etsy.me/2D3kwdC to your cart too! This template uses clipping masks to make inserting your photo a breeze. Favorite my shop to be the first to see new listings. Marketing template for photographer. Now Booking fall mini session photoshop template. Marketing materials for Instagram. Marketing flyer. Modern Mini Session template for photographers. Marketing template for fall mini sessions. Mini sessions template design. Now booking template. Photoshop templates for photographers. Instagram template. Marketing template. Photography template. Mini Session ad. Senior Session Template. Now Booking template. Now booking seniors. Template for photographers. Photoshop template. Marketing. Senior 2019. Now Booking Overlay Template. 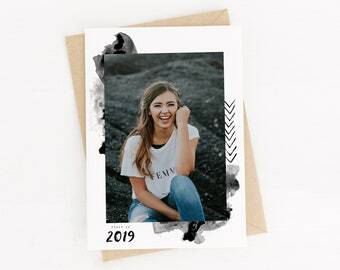 Mini Session Photography Template. Brush Lettering. Hand Painted Polka Dots. Templates for Photographers. Model Call Template. Modern Gold Luxe. Senior 2019 Session Template. Templates for Photographers. Marketing Postcard Template Design. IG. Class of 2019 Graduation card. Graduation annoucement. Senior Photoshop template. 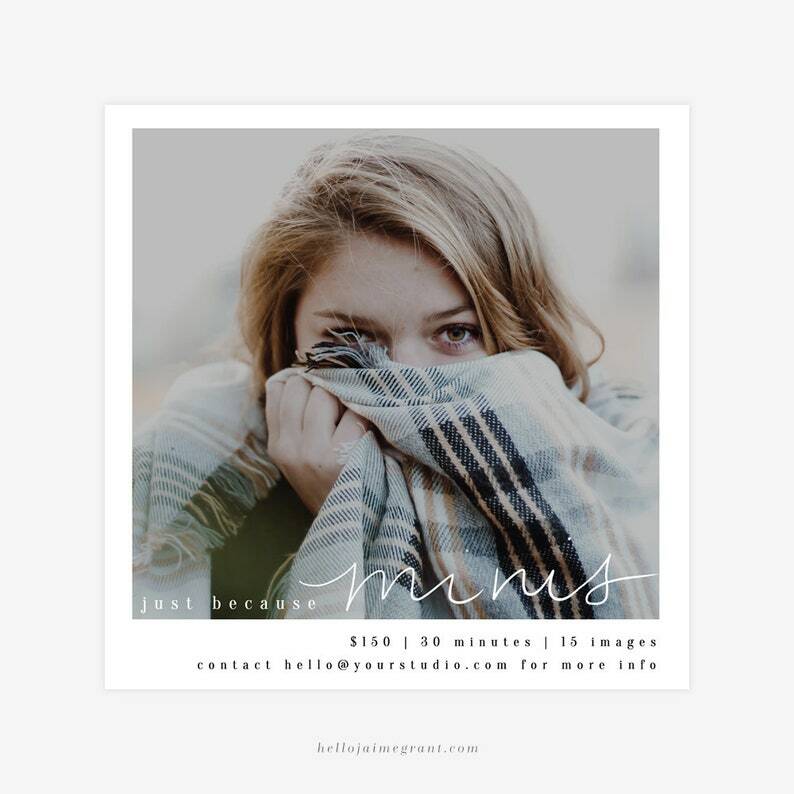 Senior Photography Marketing Template. Senior Photo. Great quality! Very simple to customize! Spring Sale - Sophisticated Photoshop Photo Marketing Template for Photographers, Boutiques, Small Businesses. Editable Template Design. Very nice design that is easy to work with. File is easy to work with. Adorable design. How long does it take for me to receive my finished logo design? A proof of your logo will be sent to you (via Etsy conversation) for your approval within 2-4 business days (M-F). Once you let me know everything looks great I will have your final files uploaded for you to download within 3 business days (M-F). The link to download your final files will be sent to you via Etsy conversation. Do I need to be a Photoshop expert to use your templates? While you should have a working knowledge of how to edit text and open photos in Photoshop, all templates make use of clipping masks so it's as simple as dragging and dropping your photo in between the "Insert Photo Below" layer and the "Clipping Mask" layer. Templates with 2 sides are organized in folders so you don't need to keep track of 2 different files. How do I print my digital art print? I recommend printing your digital art print on heavyweight matte card stock or fine art paper if you're going to be printing at home. Alternatively you can send the file to any online printing company and have them print the art for you. I would suggest a premium matte cardstock be used for the print. Staples.com, vistaprint.com, and shutterfly.com are all affordable options. Can I use your clipart for commercial use? The clipart must be incorporated into a new product (physical or digital), can't exceed 500 units, and credit must be clearly stated that you have used artwork from hellojaimegrant.com. You can't however re-sell, copy or transfer the clipart as is. You also cannot make new clip art or digital graphic resources for sale using the clipart. Modern Sale Template. Sale Flyer. Black Friday Sale. Marketing Template. Sale Photography Template. Photoshop Template. Polka Dots. Now Booking. Hand Drawn Floral Photoshop Template for Photographers. Spring Summer Mini Sessions Template Design. Marketing flyer design. Minimalist Handwritten Sale Photoshop template for advertising semi-annual, easter, mother's day, father's day sales. Easy marketing design!